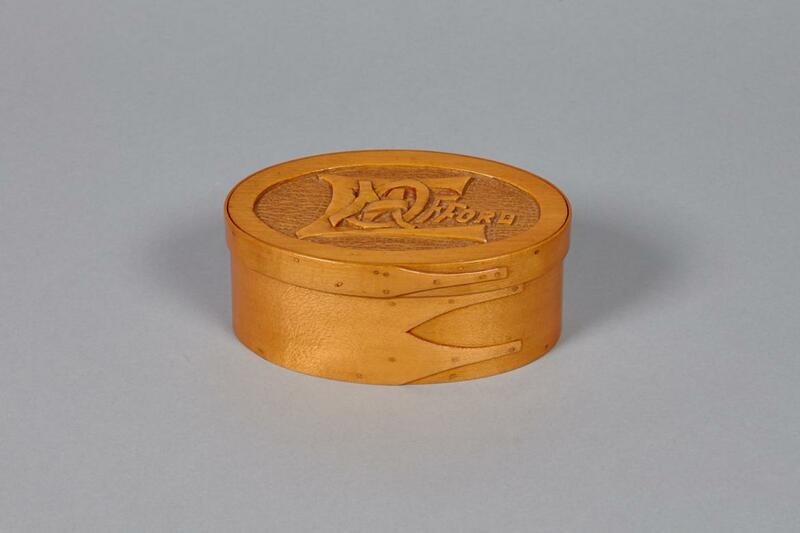 Maple oval box (a) and lid (b) rims. 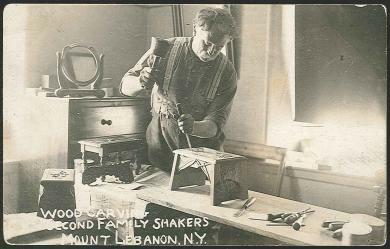 Two swallow-tails on the box, and one on the lid, secured by copper nails. 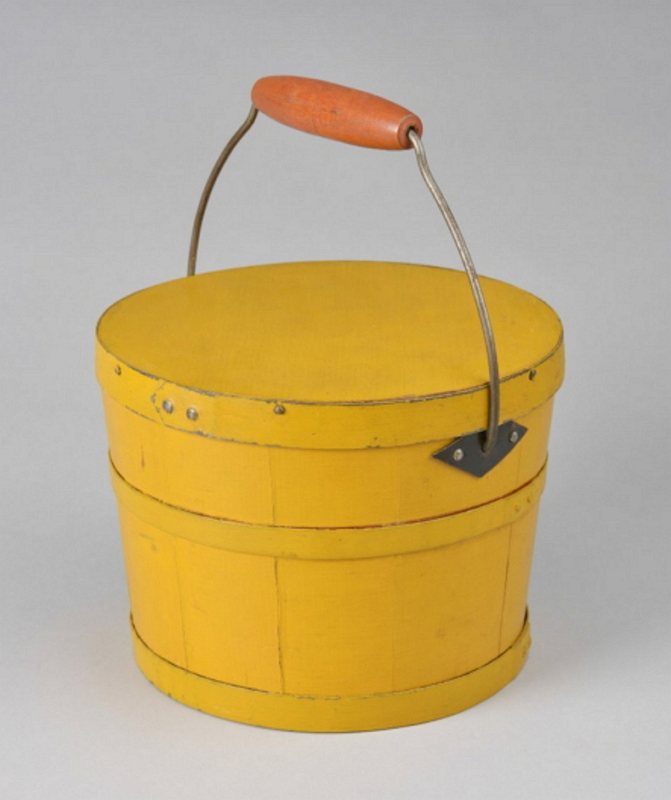 White pine top and bottom headers. 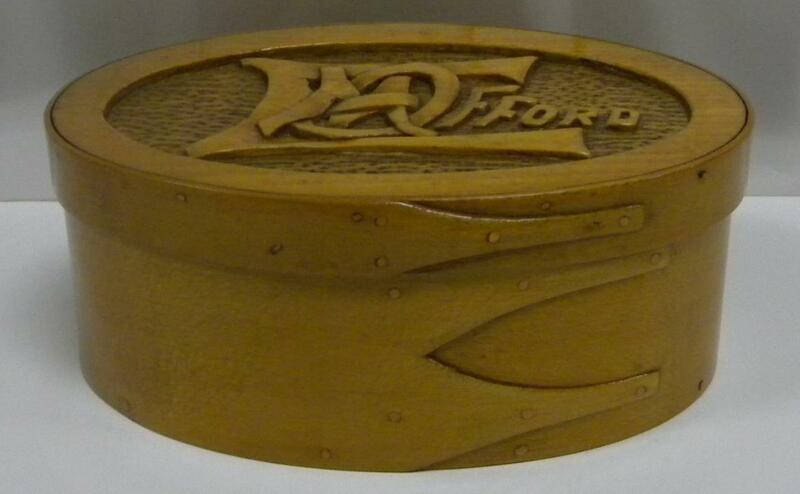 "EM Offord" carved on the lid, the first letters interwoven and overlapping. 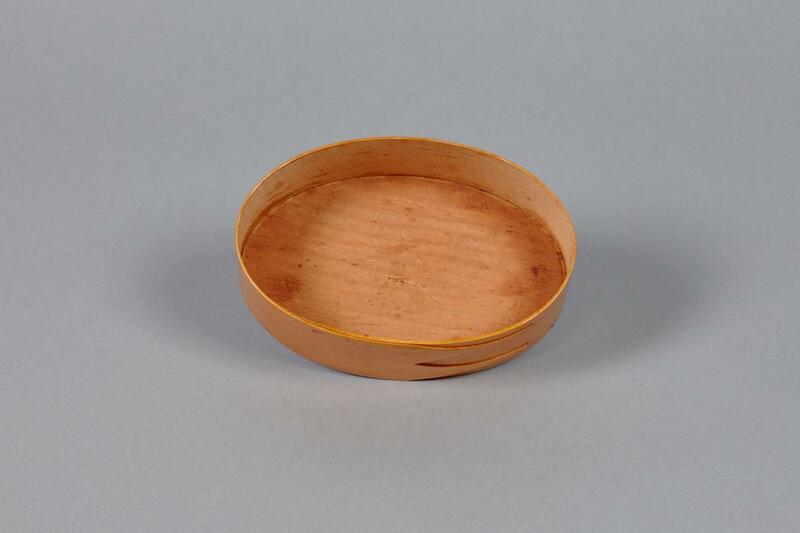 As efficient and convenient storage containers, oval boxes played an integral role in the management of space and objects in Shaker communities. 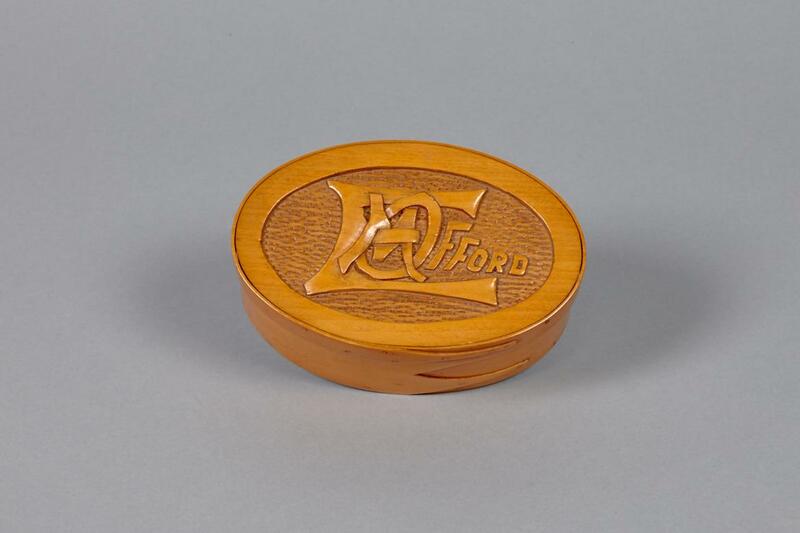 While pencilled inscriptions or initials are common on oval boxes, those with carved lids are rare. 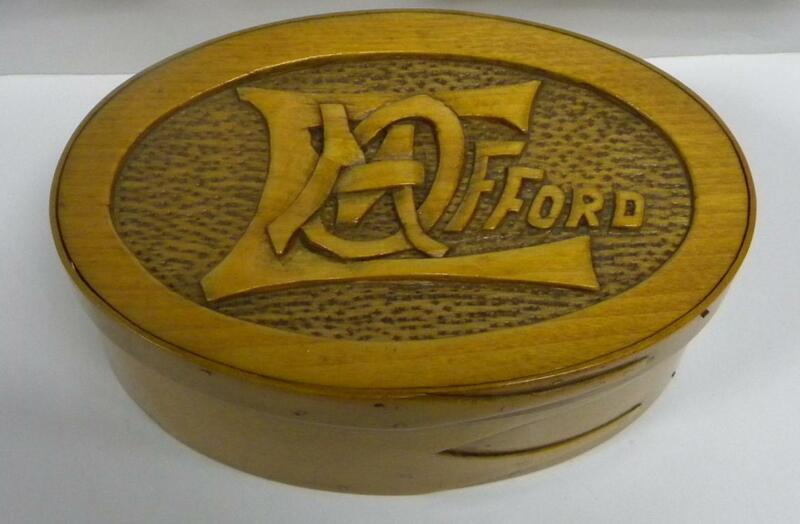 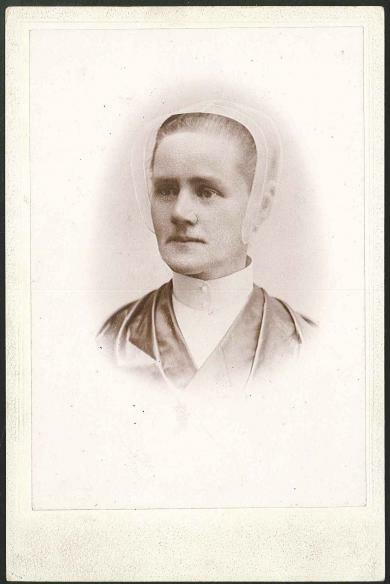 This box belonged to Emily Offord (1847-1896), who lived at Mount Lebanon and Canaan. 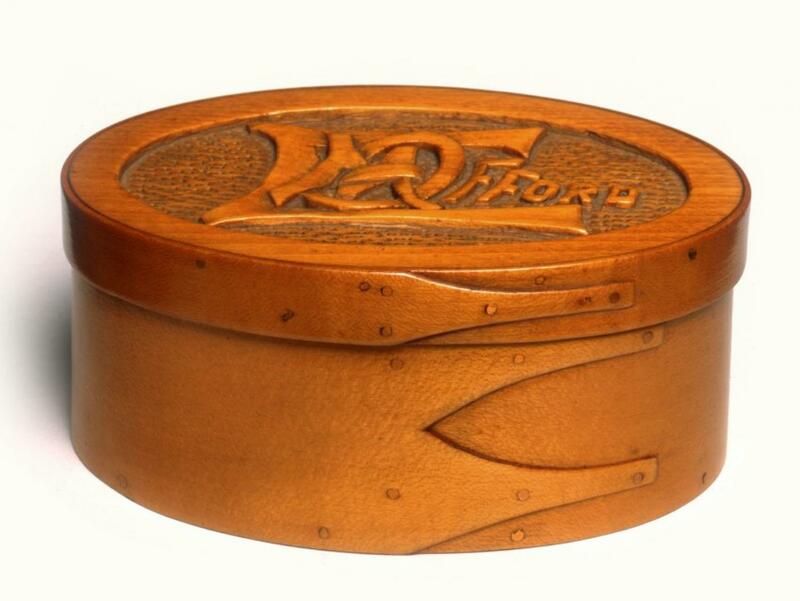 In addition to the stylized initials carved on the lid, the bottom of the box bears the pencilled inscription "Emily Offord/ June 14,1869."